Are you planning a vacation and wondering which might be some of the world’s most vegan friendly destinations? You can always find some type of vegan meal, but you don’t want to be stuck in a place that offers mainly meat and potatoes. It can be challenging to find tasty, nutritious meals that are free of animal products. Fortunately, more restaurants, resorts and hotels are becoming sensitive to the vegan diet. Some places, however, are definitely more hospitable to vegans than others. 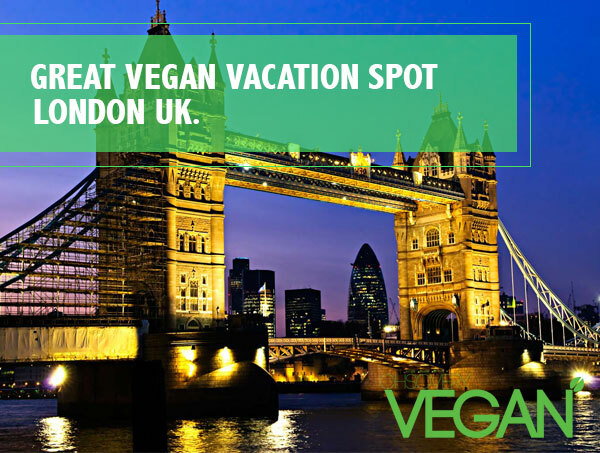 Let’s look at the five top vacation destinations for vegans. Los Angeles is probably the most diverse and health conscious large city in the U.S. It is famous for being on the forefront of trends, especially regarding health and fitness. The Los Angeles area is also a great vacation destination, with its many beaches, museums, unique shopping districts and attractions related to the film industry. Not only does L.A. have lots of well stocked natural foods stores, but it has many vegan, raw foods and other healthy eateries. You can also find many vegan entrees in some of the city’s ethnic restaurants, whether Italian, Chinese, Mexican, Thai, Korean, Japanese and so forth. Southern California also has many spas and resorts that cater to vegans. Aside from being one of the world’s most cosmopolitan cities, London is becoming increasing vegetarian and vegan friendly. One reason for this is that the UK suffered from several bouts of mad cow disease during the last decade. This has caused many people to rethink the whole meat eating lifestyle. In addition, London has many ethnic restaurants, especially Indian and Middle Eastern, that contain lots of delicious vegan dishes. This ensures that while you’re taking in all of London’s amazing sites and attractions you will never have trouble finding a place to eat. 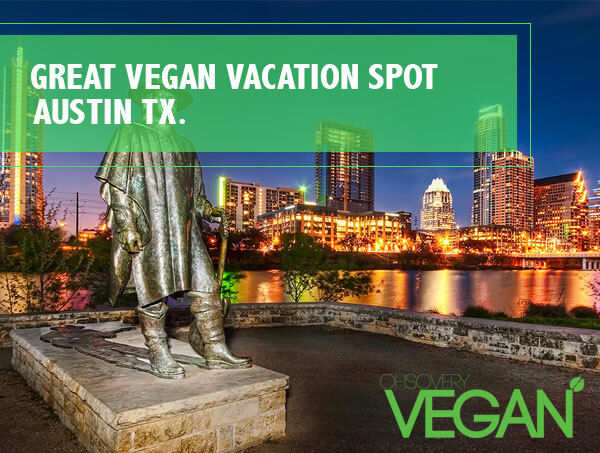 While Texas is known for being in the heart of cattle country, Austin is rapidly becoming known as a city with a great deal to offer vegans. Not only does the state’s capital city have many vegan restaurants, it also offers several popular vegan food trucks. Additionally, Austin is full of great Mexican restaurants, many of which offer lots of vegan dishes if you tell them to hold the cheese and sour cream. Austin is also an emerging cultural center, with a vibrant arts and music scene. This is making it an increasingly popular vacation destination, so it’s good to know that vegans have so many options here. Costa Rica is known as one of the world’s premier green travel destinations. 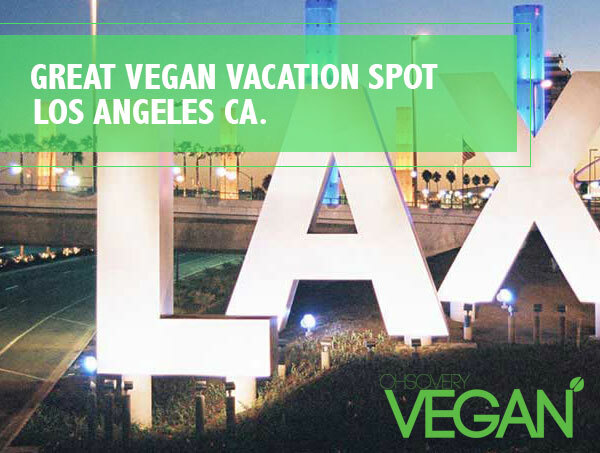 Not only does it offer beautiful beaches and exotic rain forests, but it’s also a place where vegans will feel right at home. There are quite a few vegan restaurants and resorts. Aside from this, many of the country’s staple foods such as rice and beans, steamed vegetables and tropical fruits are free of animal products. People come to Costa Rica for many reasons. You can visit the nation’s incomparable national parks and observe some of the world’s most distinctive fauna and flora. 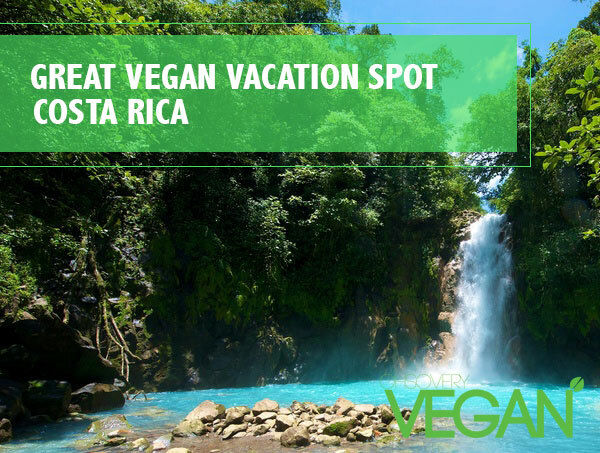 Vegans can enjoy this tropical paradise while feasting on many of the nations native plants and fruits. New York City is another of the great world cities that is full of vegan dining options. 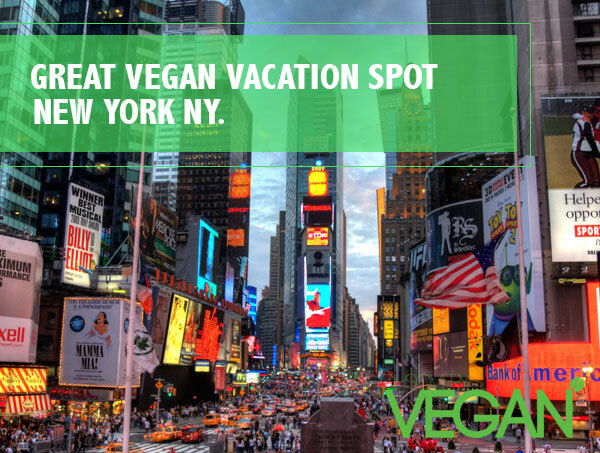 There is plenty to do in New York at any hour, and vegans will have no trouble getting meals in any part of the city. Lower Manhattan in particular is dense with vegan, macrobiotic, raw foods and vegetarian restaurants as well as hundreds of ethnic choices that have vegan options. You can also find many great vegan choices in some of the trendier neighborhoods in Brooklyn and Queens. As people become more aware of health and environmental issues, veganism is becoming an increasingly popular lifestyle choice. This is making it possible to enjoy vegan foods in many places where they were previously hard to find. The above represent five of the most vegan friendly vacation destinations in the world right now. Hopefully more places will soon join this list.